The WEC Group, which has a turnover of more than £35 million and a 400-strong workforce, has achieved important industry accreditation, which will be a big advantage as it strives to build its order book with more aviation, space and defence work. The group, based in East Lancashire, has achieved AS9100 accreditation, the widely adopted and standardised quality management system for the aerospace industry. It was released in October 1999 by the Society of Automotive Engineers and the European Association of Aerospace Industries. 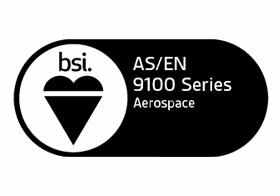 Major aerospace manufacturers and suppliers worldwide require compliance and/or registration to AS9100 as a condition of doing business with them. Two of WEC's 12 divisions - its laser cutting and water jet cutting operations - have received the accreditation so far. WEC has invested heavily in both divisions as it looks to grow its aerospace order book. The Water Jet division was only launched 12 months ago and more than £1 million has already been spent on the new operation, including two dynamic water jet cutting machines. A third is due to be commissioned by the end of the year at its newly opened factory on the Shadsworth Industrial Estate in Blackburn. With eight flat-bed lasers and two tube laser cutting machines, WEC now operates one of the largest laser cutting facilities in the UK. 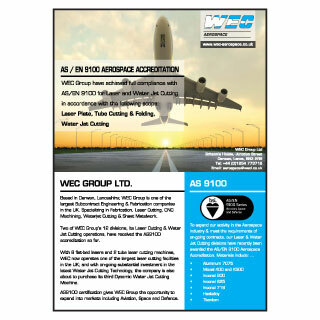 Steve Hartley, founder and managing director of the WEC Group, said: "Getting AS9100 accreditation has been a real team effort involving a lot of people. "We have built up 35 years of expertise in engineering and it will be a valuable tool for us as we look to expand our operations in the aerospace sector, coupled with our continued investment in the latest engineering equipment." The aerospace sector is a major part of the economy in the North West, contributing more than £7 billion to the UK economy and accounting for one third of the country's aerospace turnover. Wayne Wild, the WEC Group's commercial director, explained: "We have identified a number of key areas as part of an ambitious growth strategy. We see aerospace as a sector where we can make great strides and we are actively working to ensure that happens. The accreditation gives us a fantastic opportunity to grow our order book". "The aerospace industry is massively important to the regional economy and continues to develop. "We want to be part of that success story, utilising our skills and knowledge to become part of the supply chain. We are excited by the opportunities we believe exist for us." 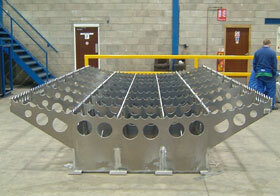 He added "Our Water Jet division is looking strong, thanks to the additional technical investment it has received. It recently delivers a major offshore order in just six weeks, which is an industry record. WEC is looking to continue its growth across the business. The company has gained planning consent for a new 120,000 sq ft factory on a six-acre site at the Walker Business Park in Blackburn. That investment followed the opening of two new factories in the town in 2013, including its water jet operation. Wayne Wild added: "The lessons we have learnt in the AS9100 process will also be valuable when we look at getting accreditation for other divisions in the business, something we will be pursuing over the next 12 months." WEC Group has also recently been approved to BS EN 1090 standard, which means the company is now compliant with the new CE Marking legislation for structural fabrication. WEC Group has 12 divisions and operations in its home town of Darwen as well as Blackburn, Knowsley and Leeds. The privately owned group is also the largest subcontract engineering company in the North West. WEC also continues to invest in the future, with the only welding and fabrication training academy in the country. Ten per cent of its workforce is now apprentices as it works to tackle the skills shortage in the industry. The award-winning group was founded in 1979 by business partners Steve Hartley and Ross Place.